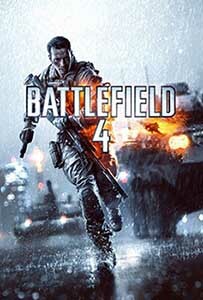 Two new, powerful gadgets were added with the China Rising DLC for Battlefield 4 – the UCAV and the SUAV. In this guide, I’ll show you how to unlock them and most effectively use them. First, you’ll need the China Rising DLC. This may have come with your copy of BF4 when you bought it new. If not, you’ll need BF4 Premium or to purchase the DLC separately. The UCAV and SUAV are both unlocked through assignments. Like most of the new assignments, you’ll need to spend some time with new China Rising features to get them. As far as I can tell, these deals are only available today, November 29th, but there’s a chance they’ll be back up for Cyber Monday. A setting in Battlefield 4 that every PC player should be familiar with is the Network Smoothing Factor. Have you ever been sure your shots were right on target against a moving enemy, but no hits were detected? Adjusting this setting may help with this problem. First, an explanation of network smoothing.